Billing itself as the builders of the next generation of tech media companies “focused on providing relevant information in a way that favors readers’ productivity instead of page views and time on site”, ReadWrite is a great resource. The site leverages cutting-edge IoT-focused content by aggregating communities devoted to specific topics such as industrial IoT, automotive innovations, AR and VR, fintech, and APIS, among others. Expect deep dives on the latest innovations and a firmly future-facing focus. 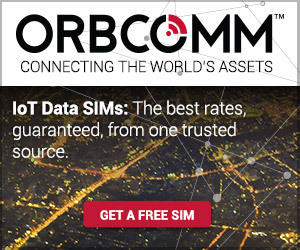 Forbes is a must-include on any technology resource list, and this is no exception when it comes to industrial IoT. Run a search for “industrial IoT” to read up on detailed advice and input from industry-leading IoT masterminds, including blogs covering everything from Q&A sessions to studies on current and future trends. Think of it as a collection of insider tips from IoT professionals who know what the current status of the industry landscape is, and what the future holds. For the latest modern thinking on digitizing industry and infrastructure, Industrial IoT is definitely a great source you can count on. With insightful pieces written based on professional experience and deep industry knowledge, this site provides a veritable treasure trove of industrial IoT blog content for those looking for both a good primer or a deeper dive. With a great section focusing on industrial IoT, this is an insightful resource for those keen on learning about everything from future-proofing work practices to cybersecurity innovations, and everything in-between. The focus is primarily geared towards manufacturing-based environments. If you’re interested in learning about what the future of IoT looks like, IoTNow is a great place to go. Yes, it focuses on current innovations and modern-day trends in the IoT landscape, but it provides a window with a clearer view of what the future looks like by examining how we utilize these technologies today. Expect a wide variety of topics, covering everything from microservices to AI and product trends. The Internet of Things news, trend analysis and opinion section of Network World is a fantastic place to settle in and discover a wealth of insider input on where we’re collectively headed, what’s working and what isn’t, and how tech innovations continue to shape our society. From IoT security to AI and fog computing, there’s no shortage of in-depth and compelling pieces for readers to dig into. 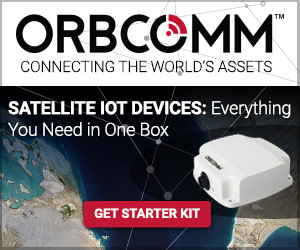 IoT Central is one of the most information-rich online resources connecting IoT professionals and researchers alike who are focused on products, services, and opportunities with a future-facing twist. With member blogs and pieces covering everything from the latest CES reveals to studies on blockchains, there’s a wide array of topics covered here, professionally and with pinpoint accuracy. Designed to provide optimal training for IoT Project Managers, DanielElizalde.com provides insightful pieces exploring everything from how to monetize your IoT product to shop talks with industry-leading experts. A simply organized, clean, and easy-to access collection of articles pertaining to heavier and more specific topics involving fusing subject matter expertise, data science and business models. Particular standouts include industrial IoT podcasts, and pieces on keys to successful IoT deployments and barriers to IIoT adoption. Another great resource for research driven IoT blogs is Connected World. Built on the premise of delivering top-quality content to researchers and industry professionals keen to enhance their knowledge of IoT applications in manufacturing and society, it consistently is updated with insightful, compelling blog entries and podcasts that ask the right questions and focus on presenting the facts from the experts’ perspectives. An online magazine focused specifically on educating readers on the best ways to apply IoT into their applications and day-to-day operations, IoT Evolution Magazine handles the delivery of informing, engaging blog content that raises awareness of key innovations and strategies. Embedded is an IoT resource for those with a passion for precise technical details and guidance on processes, hardware and software design, coding, and similar elements of IoT. From pieces profiling IoT project design specifics to articles explaining the evolution of embedded software coding over the past 20 years, this is a must-bookmark site for those with a passion for systems development. For those interested in learning how to improve their soldering skills and make their projects more efficient, Hackster.io is a wonderful resource. Discover blogs detailing step-by-step assemblies of circuit boards, program control systems, PCBs and much more without skipping a single important detail along the way. Need a quick IoT solution for feeding your pets, knowing when your refrigerator is opened, or shooting t-shirts out of a cannon? There’s a hack for that on Hackster.io. Embedded Computing Design’s industry-leading coverage presents an ever-changing array of diverse topics. Their multi-entry series “How to Develop Cross-Industry IoT Interoperability” is just one of several in-depth explorations of IoT development. Read fascinating pieces written by the experts of IBM on systems integration, hardware and software lifecycles, and product engineering innovations, just to name a few. Updated frequently (sometimes with multiple posts at once), it is one of the most frequently updated and educational IoT blogs we’ve come across in recent memory. LinkLabs combines a healthy mix of in-depth explorative pieces and listicles. Whether you’re interested in learning more about IoT cybersecurity or want to understand the differences and similarities between mesh, star and point-to-point topology, there’s a little bit of something here for everyone (and expertly researched, also). A great collection of studies, guides, and insights on the impacts IoT innovations are making in business and manufacturing applications, TechTarget’s IoT Agenda is a powerful resource for anyone interested in gaining not only a grasp of the basics, but also insights from industry-leading experts. Analytical in nature and thought-provoking to say the least, the entries on offer here provide engagement and encourage future-facing thinking. For the latest and most up-to-date developments in the IoT universe, IoT Council News is a site to not be missed. Filled to the brim with the latest scoops and insider news on technological advancements, it also delivers input from experts on everything from VR to cybersecurity in easy-to-digest pieces. Postscapes’ Tracking the Internet of Things section serves to, according to the description, “frame and filter Internet of Things (IoT) products, services, and ecosystems”. It indeed delivers on that statement, giving readers access to uniquely written and research-intensive articles covering everything from developments with the latest start-ups to tips on how to maximize asset health. Our last must-follow blog on the list certainly isn’t one to leave out of your collection of bookmarks. The Bosch ConnectedWorld Blog provides readers with informative snapshots of the latest developments, spotlighting the ways IoT has shaped our current manufacturing and business practices as well as how we live.